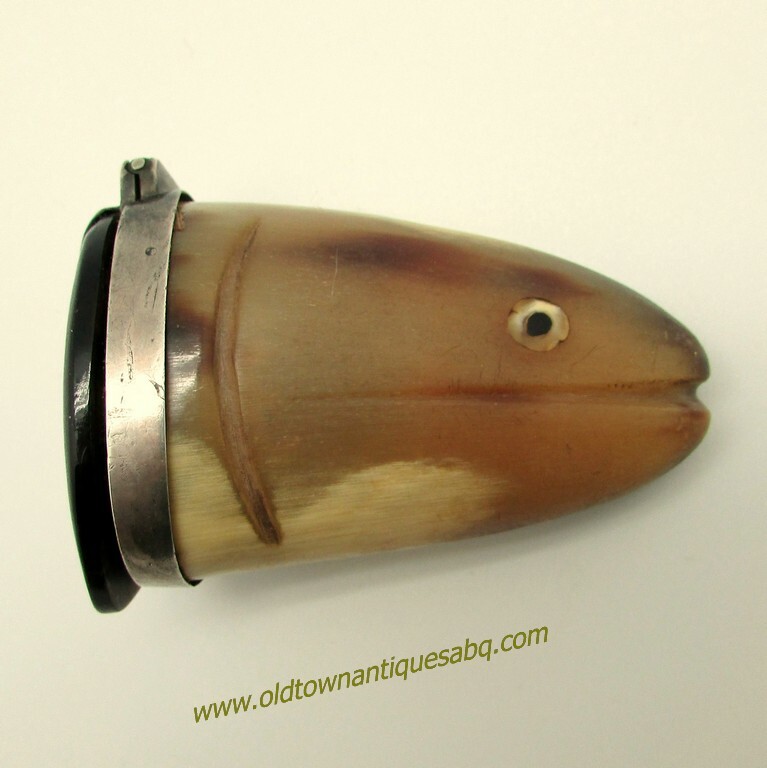 A 19th century horn snuff box or mull, in the form of a fish head. 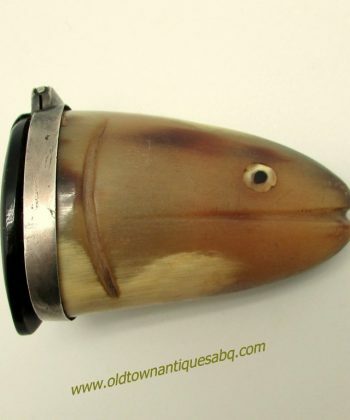 Natural horn, carved into a fish face with an inlaid eye, metal rim and horn cap or lid. Even the mount for the lid has decorative flourishes. In excellent, usable condition, the whole piece measures 2 7/8″ long by about 2 1/8″ the length of the lid by about 1 5/8″ wide. A nifty old piece with lots of personality.